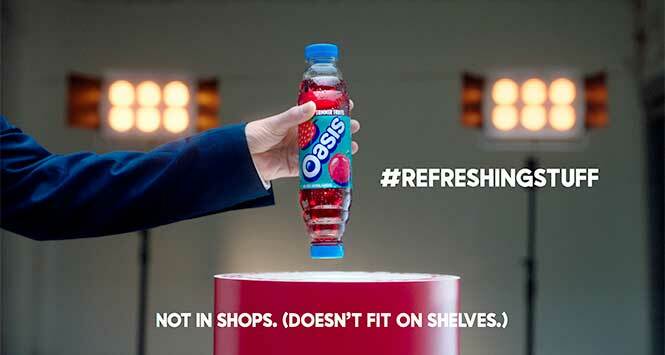 Oasis has returned with the next instalment of its #RefreshingStuff campaign, this time with a cheeky sideways look at the world of marketing. A parody of heart-warming, feel-good adverts, the brand’s new ‘Togetherness’ ads feature a bottle of Summer Fruits flavour with a “double-ended neck”, which encourages people to drink it together at the same time. The Togetherness adverts will run on out-of-home posters, online and in cinemas. 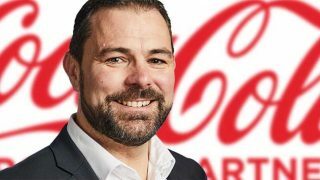 Simon Harrison, Customer Marketing Director GB at Coca-Cola European Partners, said: “The new Togetherness adverts, which are the latest instalment of our wider #RefreshingStuff campaign, reflects the quirky style the brand is renowned for with a playful twist on modern marketing. 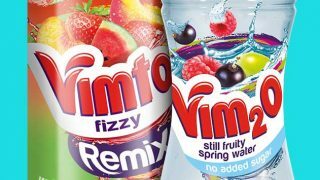 “The campaign follows the arrival of our brand refresh that includes a new bottle design that is bold, quirky and fun, to deliver impactful standout on shelf. “We also introduced Oasis Aquashock to the Oasis family to respond to the consumer demand for flavoured water which is up 4% year on year.